Castle Stalker Paintings & prints - Castle Stalker, Appin, Scottish Highlands. An original abstract, atmospheric landscape painting of Castle Stalker at Sunset, Appin, near Oban in The Scottish Highlands. Framed print of Castle Stalker, Appin, Scottish Highlands. 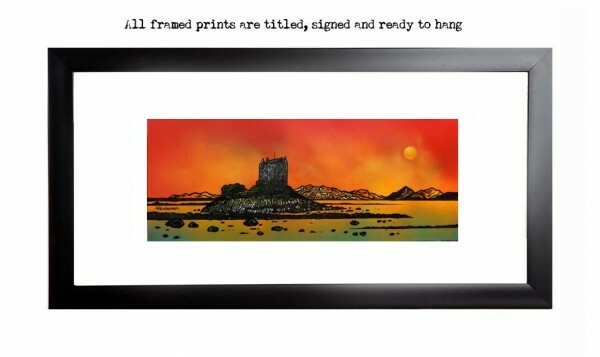 Original painting & prints of Castle Stalker, Appin, Scotland.